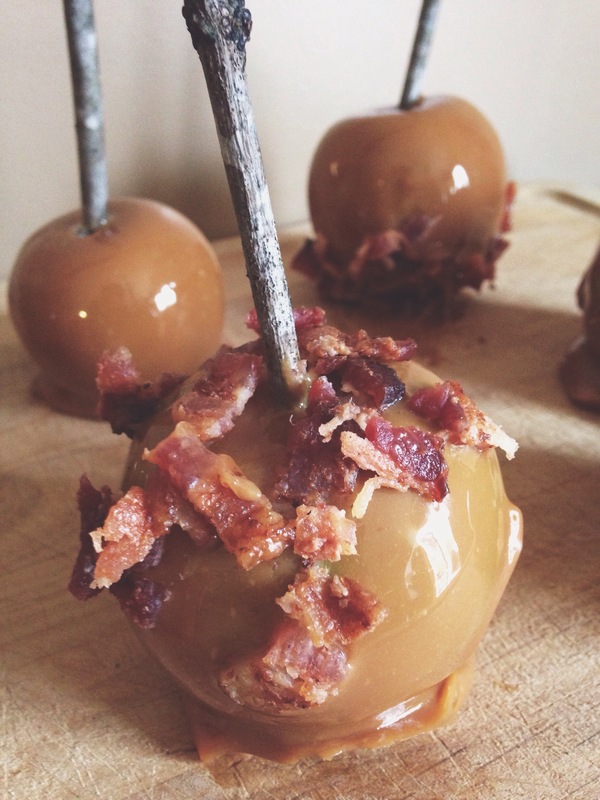 Mami Dearest: Bacon Caramel Apples - Because Duh....Everything is Better with Bacon! 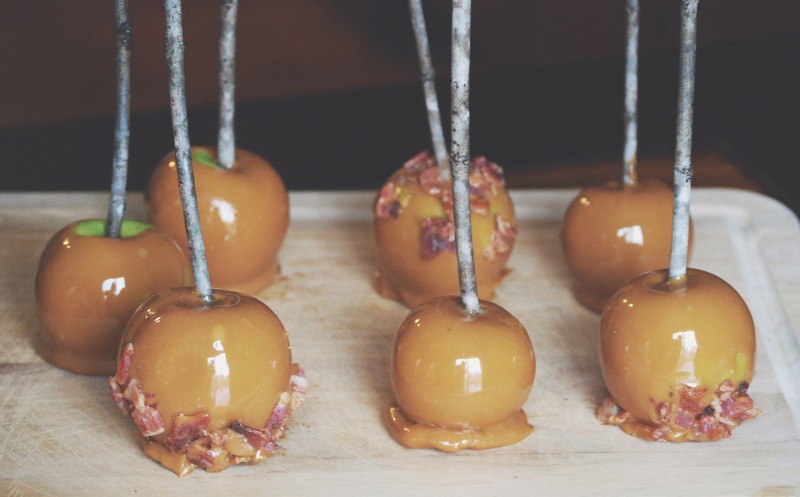 Bacon Caramel Apples - Because Duh....Everything is Better with Bacon! One of my Fall favorites are caramel apples. The tart of a granny smith apple, surrounded by the gooeyness of caramel is just so good. I guess gooeyness is not a real word, but whatever. 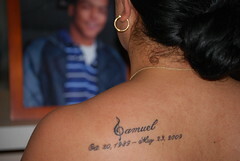 It's a word to me. And what makes this concoction better? BACON! But of course! I put bacon on any and everything! I LOVE bacon. These apples were quick and easy. Well, besides burning my first batch of bacon to a black crisp. And having my husband and boys refusing to eat them because "oh my gosh, you put STICKS in them! And they are dirty, and you don't know what has been on them!" Now mind you, I did wash the sticks off. And the sticks are stuck into the core of the apple, which you do not eat! 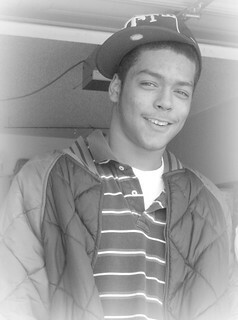 But oh well. I used caramel candy, melted with a little water, and rolled in bacon. They were yummy to me and pretty with the twigs! That's all that really matters. Right. And duh.....BACON! That's a guarantee winner!